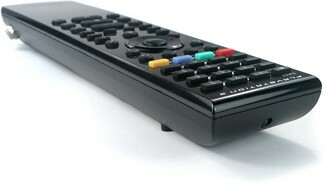 The IR4PS3 allows everything the official Bluetooth remote can do... all from your standard universal remote! here there’s a limitation, there’s someone working to overcome it. Sony’s failure to make the PlayStation 3 consumer electronics friendly by releasing a proper infrared remote control add-on has resulted in a wide number of third-party efforts, such as the ones covered in our earlier article Adding IR Remote Control Capabilities to the PS3. But no matter which method of controlling the PS3 is chosen, a major compromise has been required. Do you go Bluetooth and have full functionality, but live without being able to integrate any functions into your expensive universal remote? Or do you purchase an USB-based infrared solution and live with its limited functionality, including not being able to power the console on and off? This has been an unacceptable situation to more than just universal remote aficionados such as myself. For example, one entrepreneur has developed the PS3IR+PWR ($50, Schmartz.com), which takes the traditional USB-based infrared dongle concept used by existing products and adds a special wired sticker that goes over the console’s power button. The sticker then electrically simulates someone placing their finger over the heat-sensitive button. This solves the problem of not being able to turn the console on or off from afar, but what about the issue of the PS3 only accepting just over one dozen different commands via USB? Ever since the PlayStation 3’s release the situation has looked impossible for those of us who wanted just one remote, and yet also desired as much control over the PS3 as a standalone Blu-ray player would offer. But all of that’s about to change! And so steps in an enterprising individual from Canada – who, for now, prefers to be known as “Ben”, AKA “The Others” on our forums. A hardware and software engineer by trade, he knew that the solution to this problem didn’t necessarily require reinventing the wheel. If the official Sony PlayStation 3 Blu-ray Disc Remote Control (read our review) was the only practical way to obtain full control over the PS3, then why not simply make that existing Bluetooth solution work the way you want? After studying the problem he had his answer: a small add-on circuit board with an IR receiver and processor that would integrate with the official Bluetooth remote’s existing circuitry. The IR receiver captures commands from a standard infrared remote control, figures out what they are, and then sends the correct electrical impulse to the original circuit board. This simulates someone pushing a button, resulting in the desired command being sent wirelessly to the PS3. This method piggybacks onto Sony’s proprietary system, bypassing the limitations of using the PS3’s USB port for communications. It took a few months to develop and fine tune, but by November 2007 a fully functional prototype had been built. And as of January 2008 we’ve received the first sample modified Bluetooth remote here at Remote Central, dubbed the IR4PS3 by its creator.